What's in your home air? ARS Inspections Real Estate Inspection Company, property inspection, termite inspection, radon testing, mold inspection, mold testing, FHA VA RD USDA and well inspection. Our seller home inspection is preformed from a homebuyer’s perspective. Designed to provide you the seller with information on the things a buyer’s home inspector will find and report on during the inspection. Having your home inspected now or prior to listing it with a Realtor will allow you to make corrections on any deficiencies and or safety issues that are discovered during the inspection. Our inspection will include inspecting for FHA VA RD and USDA loan type issues as well. Once the inspection is complete we provide you with a full report that addresses issues and concerns that may be discovered during the buyer home inspection. Once you have completed repairs we will re inspect at no additional charge and make corrections on the report. If you are considering listing your home with a Realtor, call us today to schedule your pre-listing inspection. 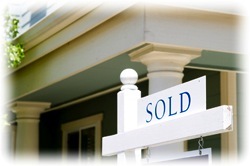 Home already listed with a Realtor, contact your agent about adding this valuable service.